Are you liking Samsung's new One UI on your Verizon or AT&T Galaxy S9? 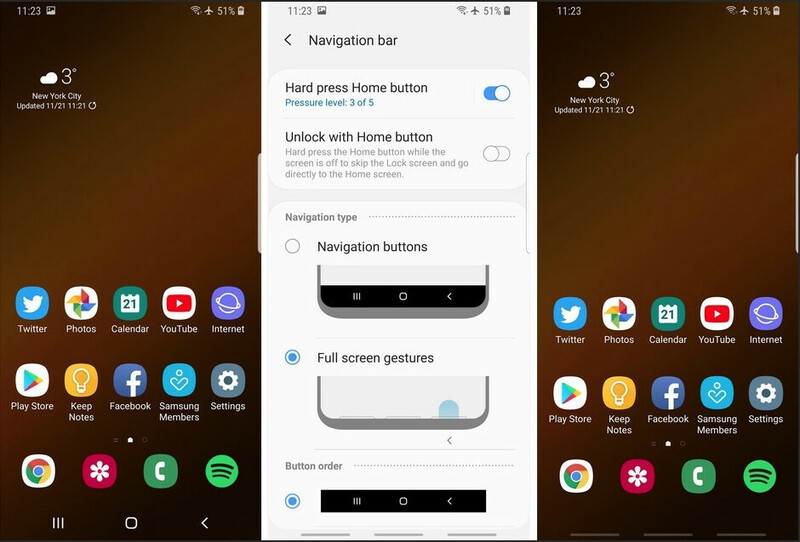 Samsung has a brand new spanking gesture-based interface for its Android phones, dubbed One UI, and it is now the turn of US carrier models of the Galaxy S9 or Note 9 to get it together with the Android 9.0 Pie update. First Verizon, then AT&T and Sprint started pushing the cool new overlay to their flagship Samsung phones, so now US carrier susbcribers have the chance to test it in a final release version. The fresh interface, however, may take some getting used to, compared to Samsung's previous Experience interface that used to be on your Galaxy S9 and Note 9, especially in the iconography and navigation parts. This is why last week we asked those who got Samsung's One UI that came with Android Pie to their Verizon or AT&T Galaxy S9 or Note 9 how do they like it so far. Lo and behold, 81% of our 1650 respondents think that Samsung has done a good job with the "One"-handed UI this time around. Samsung has rethought navigation and display content of its new One UI from the ground up with today's big screens and its upcoming foldable phone in mind. Thus, the actionable content is situated in the bottom half of the usable screen canvas, with big, fat, juicy icons and switches, while the glanceable or readable one is at the top where your thumb can't reach anyway, especially on today's 6"+ phones. The two most noticeable new options that One UI will bring to your oldie but goldie Galaxy, are gesture-based navigation replacing the usual virtual key strip, and the system-wide Night Mode. That last one is a godsend, as you can see in the header above, especially at night when you don't want blinding white backgrounds to pierce your eyeballs. The settings app has also been greatly overhauled with larger, more aesthetically pleasing visuals, and a thorough options purge has been carried out in the submenus that are now much more cleaned up than before. I don't have a Samsung smartphone, but I still think they did a great job when you compare the old design to the new one, it's not perfect but its in the right direction. I hear you, I have an unlocked S9+ and still haven't received the January security update either. Much less the ONE UI! Yup, they really need to get it together!